Hello, I'm Caroline and I'm the LCP of AIESEC Warwick 13/14! I pursue a Law degree at Warwick. Hey! I am Astha! I am a second year Economics student at the University of Warwick! My hobbies include traveling (food and traditions of other countries get me excited! ), singing and reading. This summer I went to Belgrade, Serbia as part of my AIESEC exchange and had a wonderful time discovering a different part of the world and making friends globally. I like working for a social cause and believe in the power of youth action. Hence, I am a proud AIESECer! My name is Rachel and I’m a second year studying Accounting and Finance and I work in the ICX division in AIESEC. Last summer, I went on an exchange with AIESEC to Poland to teach English to little children and had the time of my life! My favourite color is Pink and I love travelling and fashion. Moreover, I enjoy being healthy and eating properly. I eat 3 different types of fruits each day. And I don't eat meat 5 days a week. However, I love desserts. That's my weakness. What else? I hate insects. Hello, I'm Carmen and I'm a second year studying Economics. 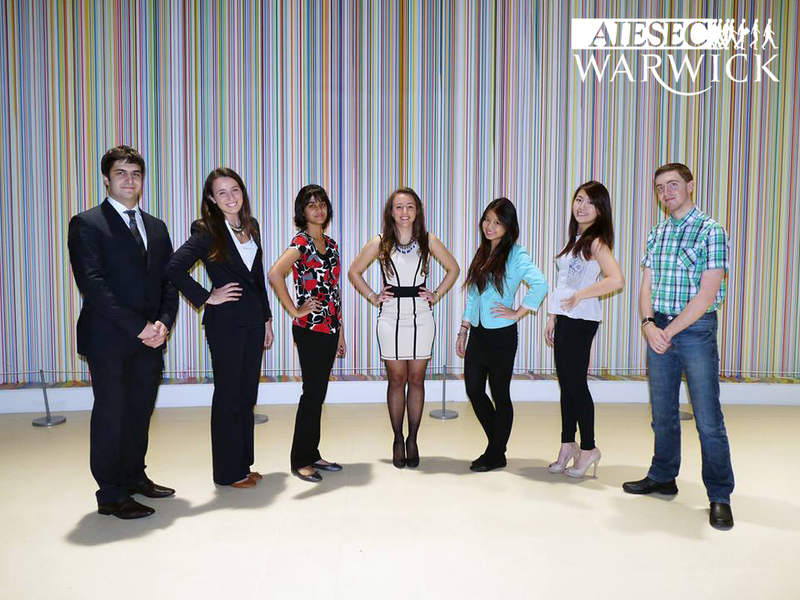 I am in charge of managing the Public Relations and Internal Communications & Creative Design teams in AIESEC Warwick. Academics and AIESEC aside, I love travelling around the world (and had the fortune of going to Hong Kong over the summer for an AIESEC CEED Exchange! ), eating, and more recently fitness (how ironic huh?!). I also want to learn as many languages as possible and pick up yoga one day! I'm Bradley (often known as Brad or Bradders), I'm a 2nd year Management student and I enjoy making other people happy. My hobbies include songwriting, drama and travelling the world in search of new experiences. AIESEC allows me to periodically indulge in my love of performing, when I'm training others or working in my LC, and I know that the experiences we provide ultimately allow others the chance at a once-in-a-lifetime experience, which makes me super proud to work for AIESEC! Hey, I'm Tigran and I'm in my second year at Warwick studying Economics. As VPF, I manage the finances for the organisation and keep our accounts healthy. Hi I'm Marta and I study Management at Warwick. As VP TLP, I make sure the leadership team of AIESEC Warwick gets and experiences personal and leadership development.